Our Airplane Tour takes you out and around the Monterey Bay on a 40 minute adventure you will never forget! Climb aboard one of our comfortable Twin Engine 4 passenger airplanes or our super cool "bubble view" 3 passenger airplanes, while you cruise over the marine environments, whales, sharks, seals and more. You can take your ride along the coast or even deep bay waters! The Airplane tour offers a great value - You get a comfortable flight of 40 minutes at prices that compare to a much shorter helicopter flight. Enjoy shoreline views and cover a larger area. You get a choice of 2 types of airplanes: The twin engine (fast and fun) or the "Bubble View" single engine. 1. The twin can go farther off shore and fits up to 4 passengers (great for the whole family). 2. 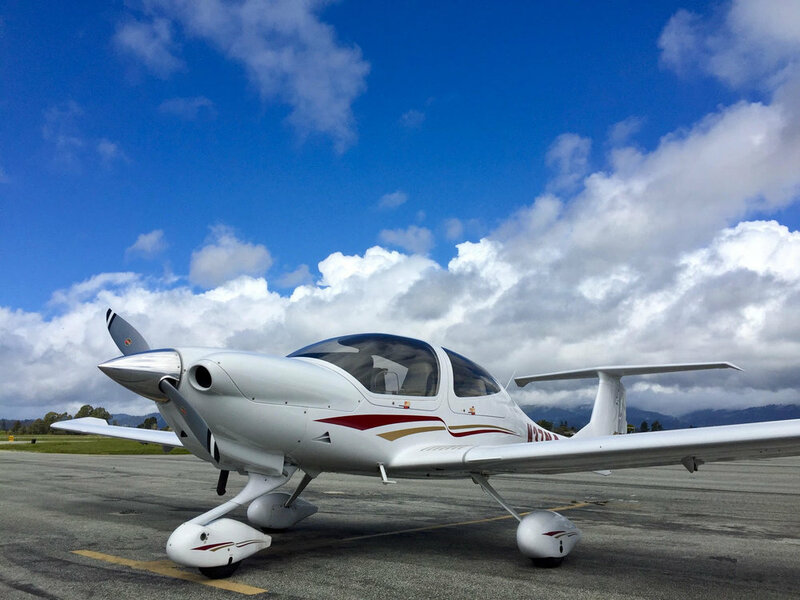 The Single engine Diamond airplane has the all around view and feel of sitting inside a bubble and offers a more private experience.